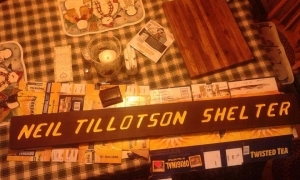 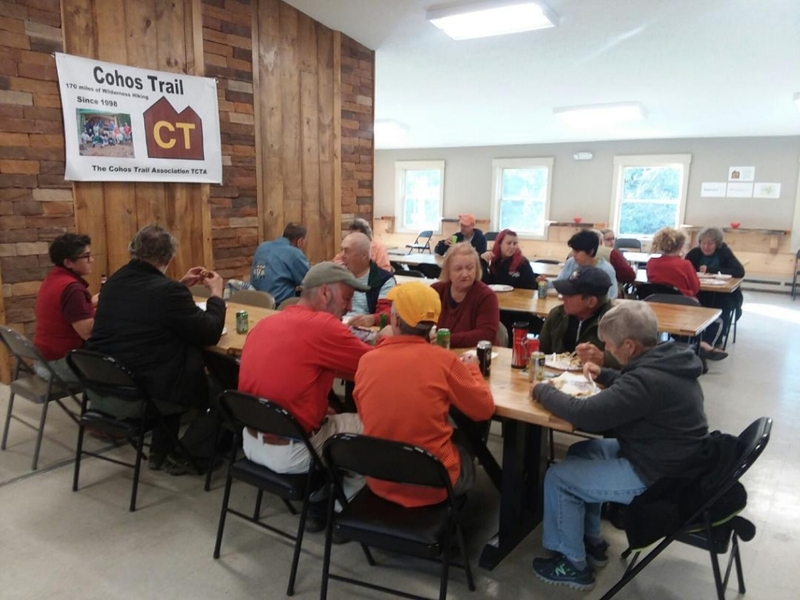 The Cohos Trail Association lost a lion in the person of director Ray Chaput, who had been with the club for nearly its entire run of 20 years. 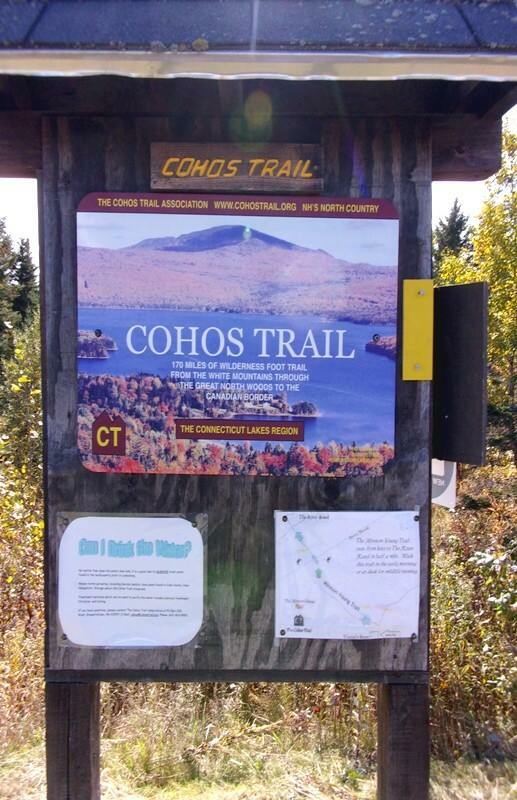 If you’ve hiked the Cohos Trail, you have seen his handiwork in signage, new trails, trail registers, blazes, kiosks, and more. 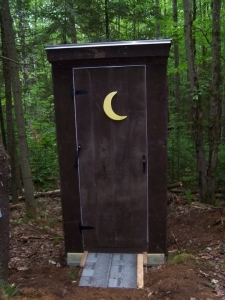 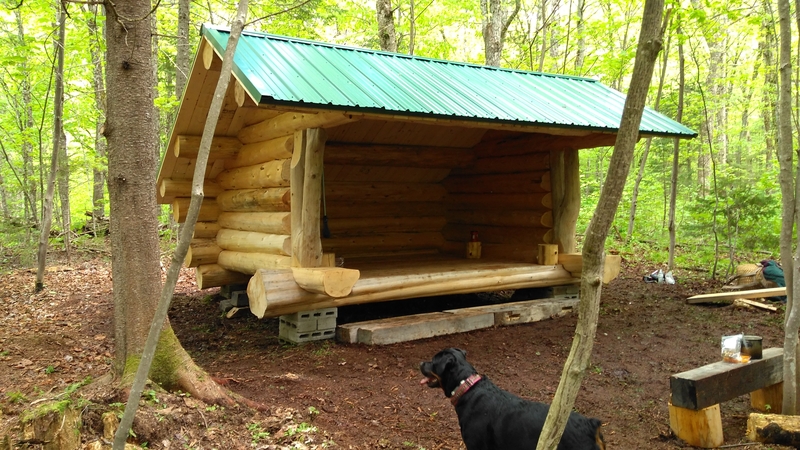 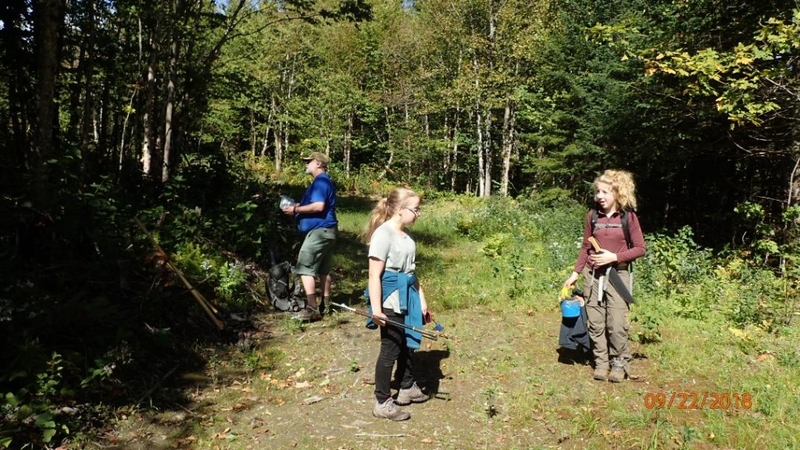 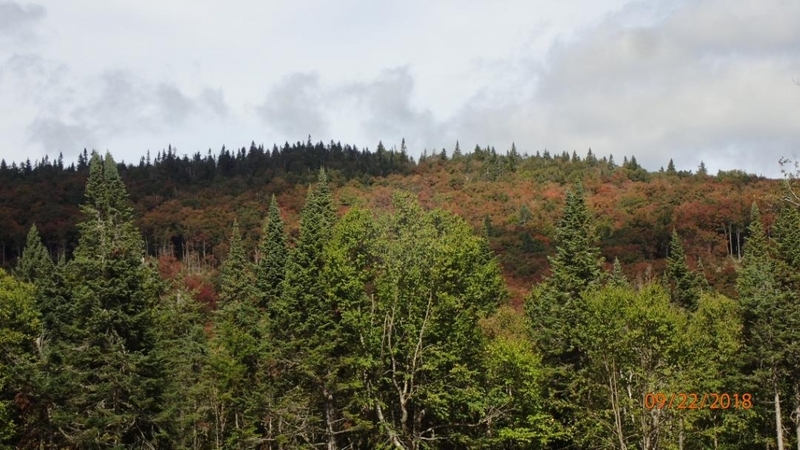 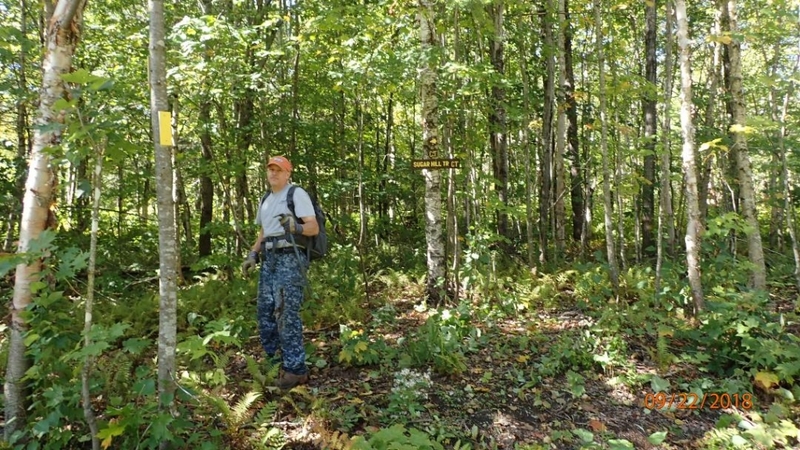 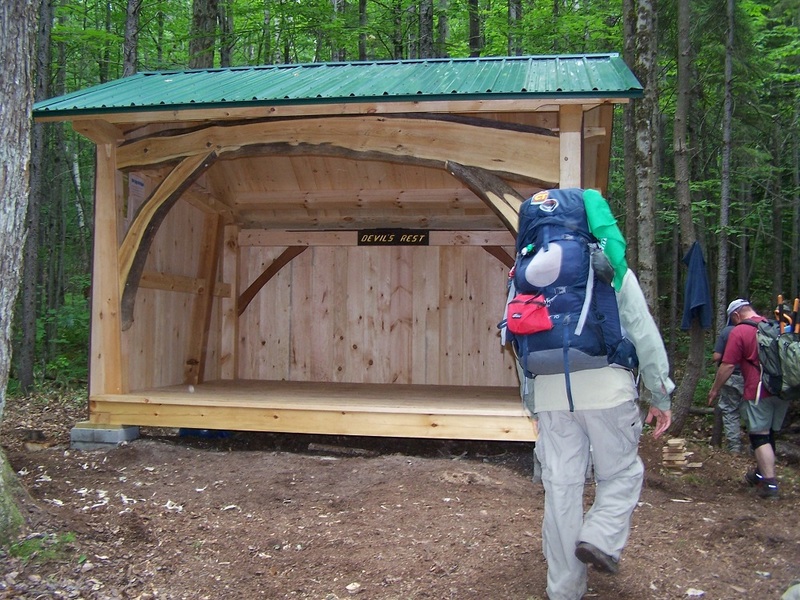 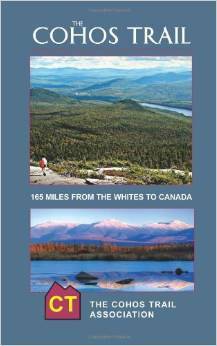 Ray had hiked extensively in the wilds of backcountry Coos County before there was ever a thought of a thru-hiking trail. 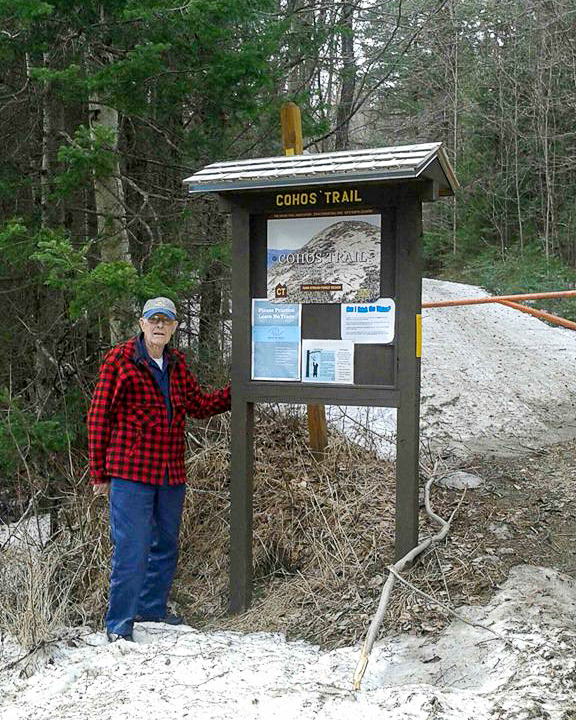 When the Cohos Trail came along, he jumped in with both feet to volunteer and became a tireless promoter of the CT. 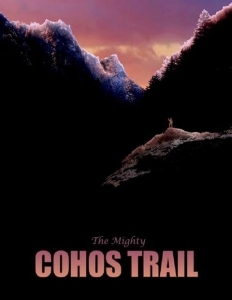 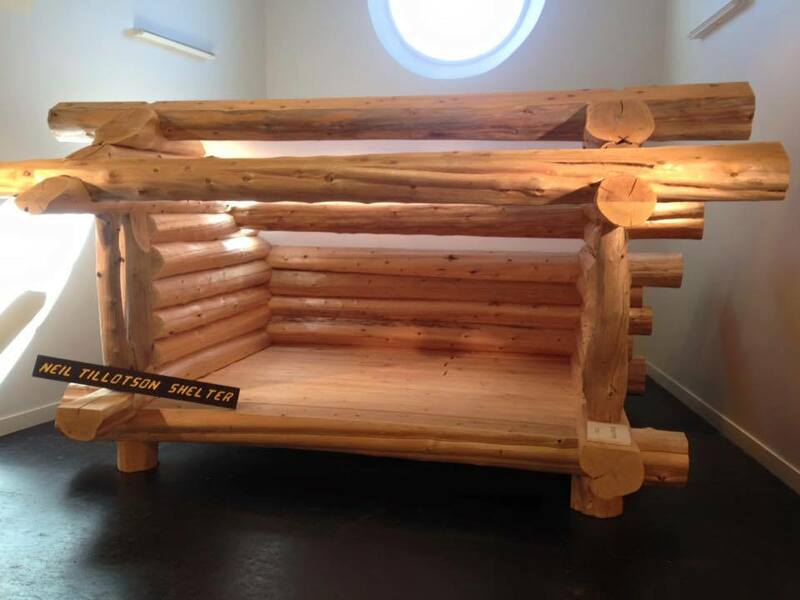 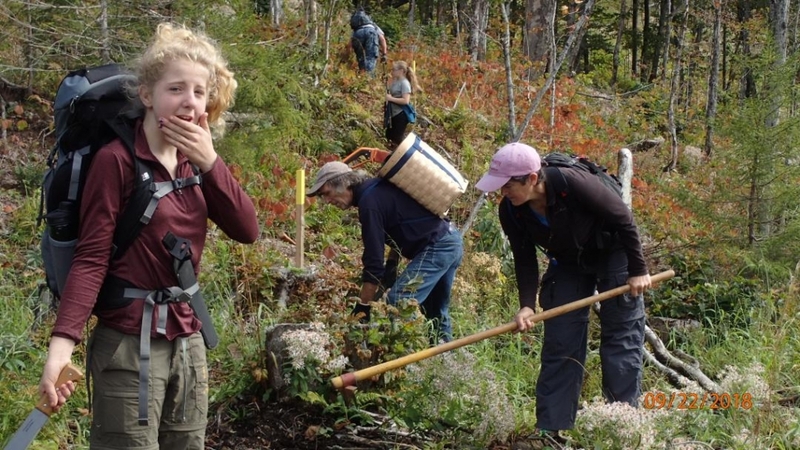 Truly hundreds of people have volunteered to create the Cohos Trail. 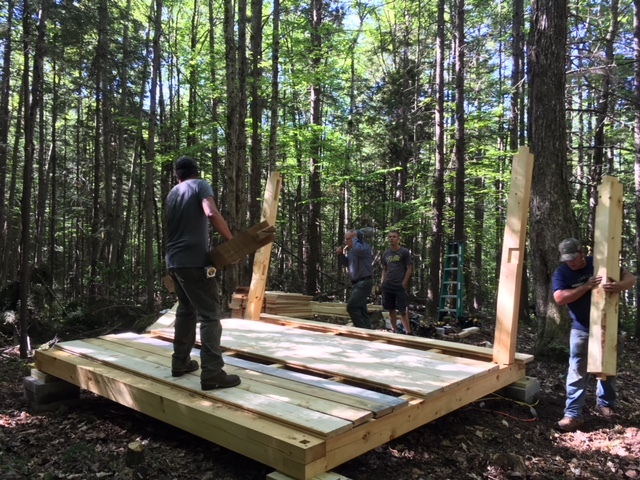 Ray was one of the few of us who would work the trail winter and summer, year in and year out, creating things in his basement workshop for us when the snow flew, and getting out in the woods to craft new pathways in good weather. 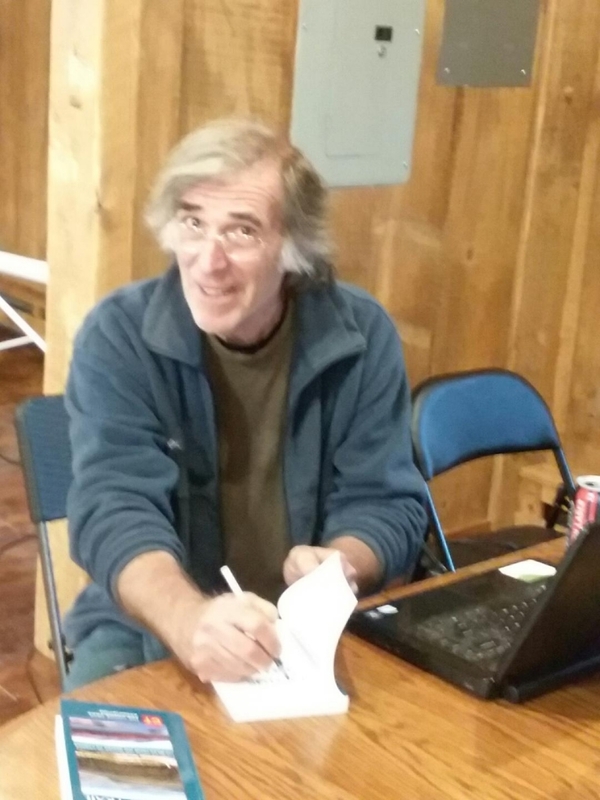 We will miss you, Ray. 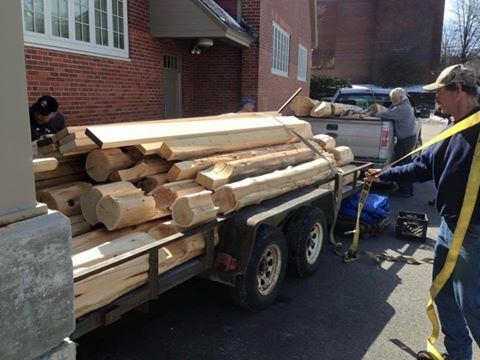 Keep up the good work you do, Ray, wherever you go. 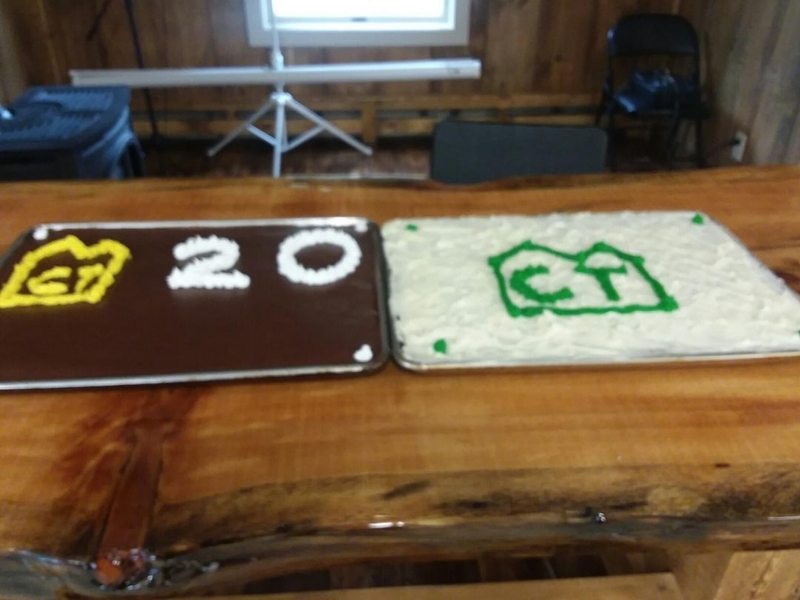 STEWARTSTOWN — Just after midnight on September 22nd, a large poplar tree lost its fight with 40 mph gusts of wind and crashed down at the head of the Cohos Trail southbound out of Coleman State Park, effectively sealing off the trail overnight on the day the Cohos Trail Association was to hold its Cohos Trail 20th Anniversary Bash celebration at nearby Coleman Estates. 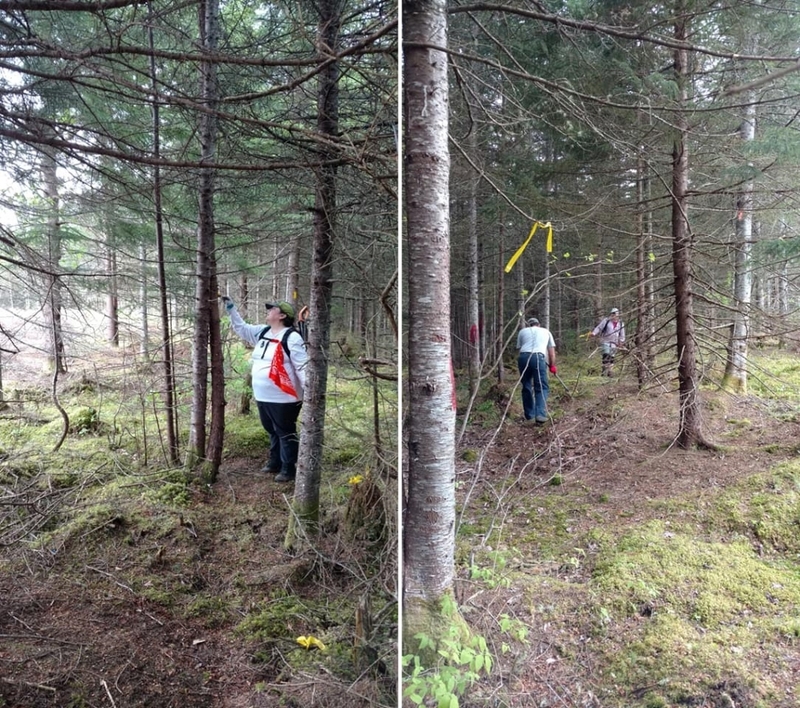 A bit of hand sawing and branch tugging on the poplar and more work on a nearby foot-diameter fir tree freed up the trail and the celebration was on. 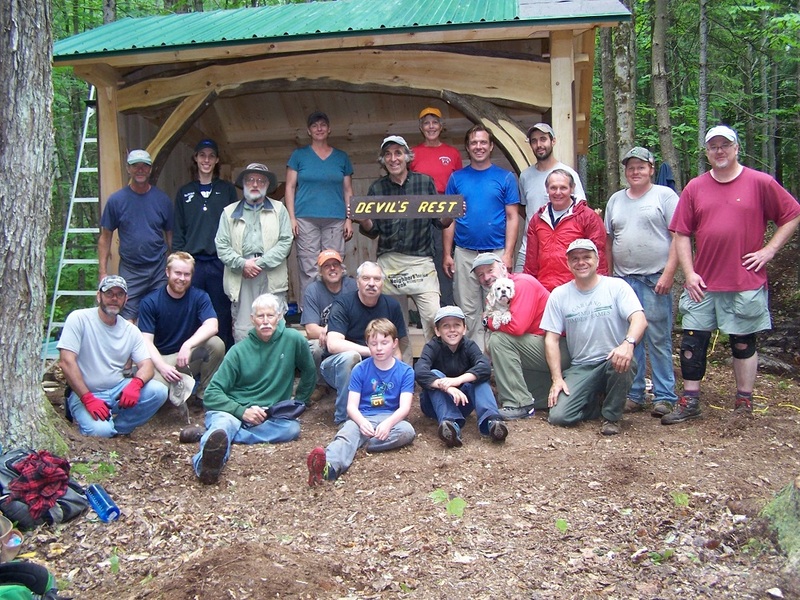 Trail work on the 170-mile Cohos Trail first began in 1998 with a brushout and restoration of the long-lost Old Summer Club Trail in Stark. 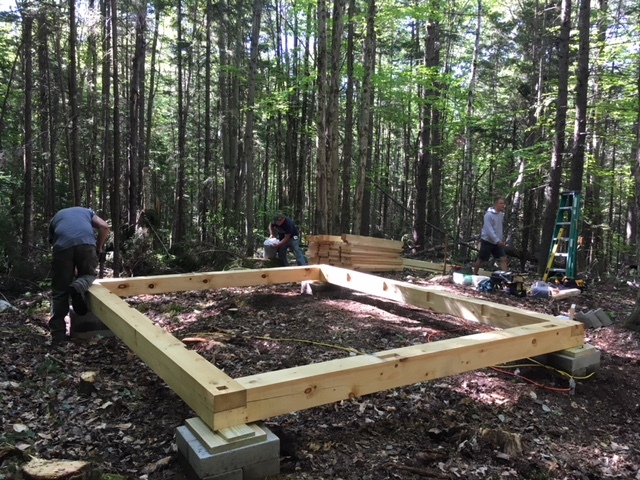 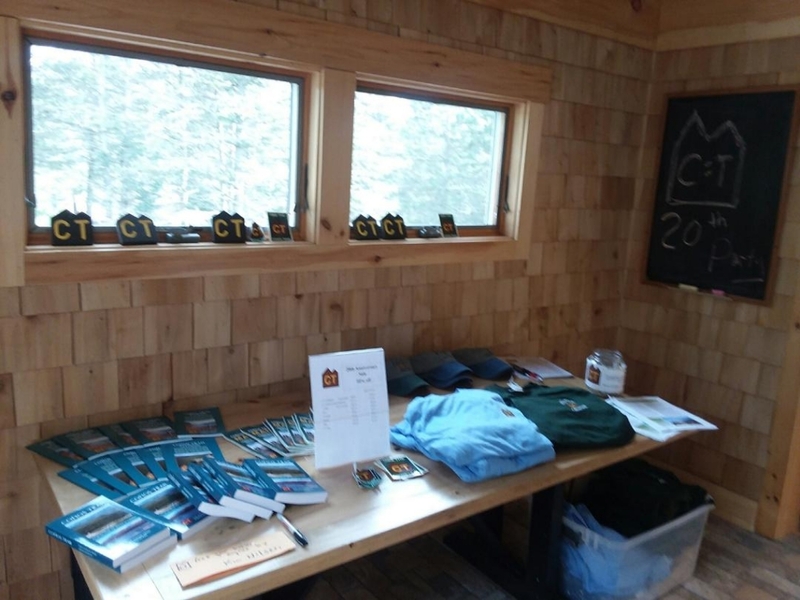 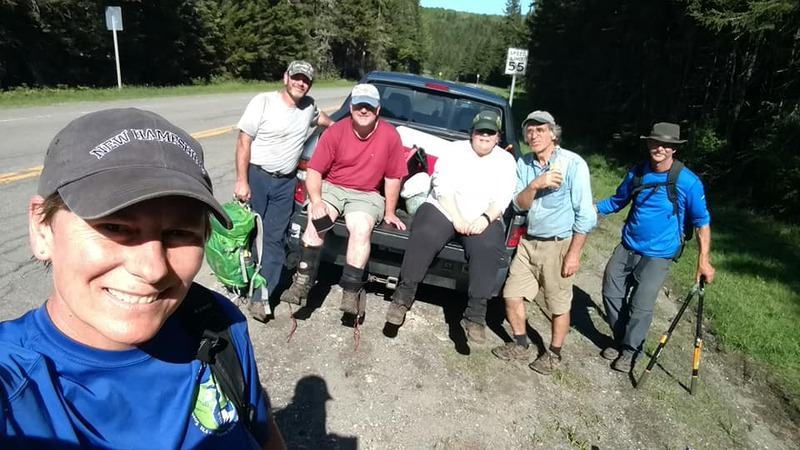 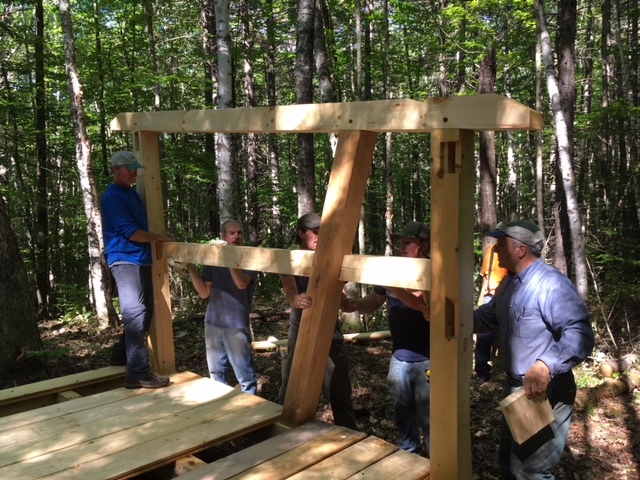 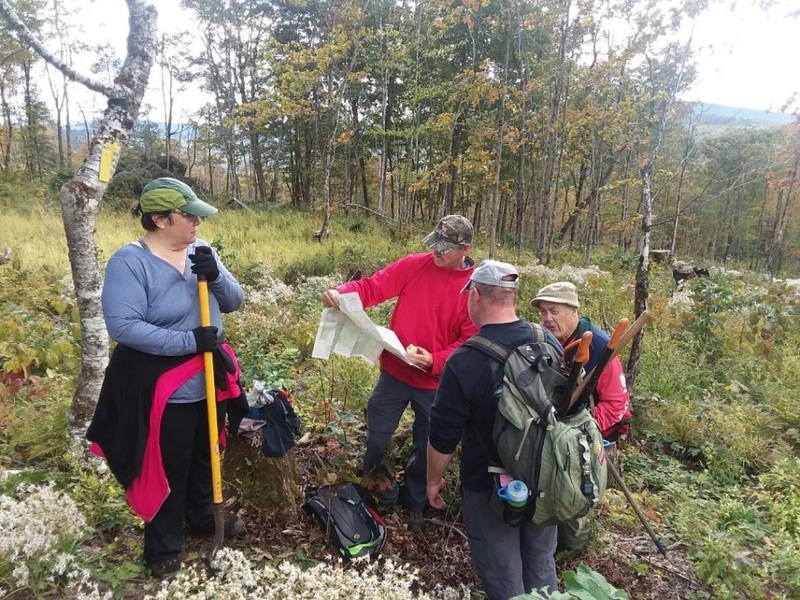 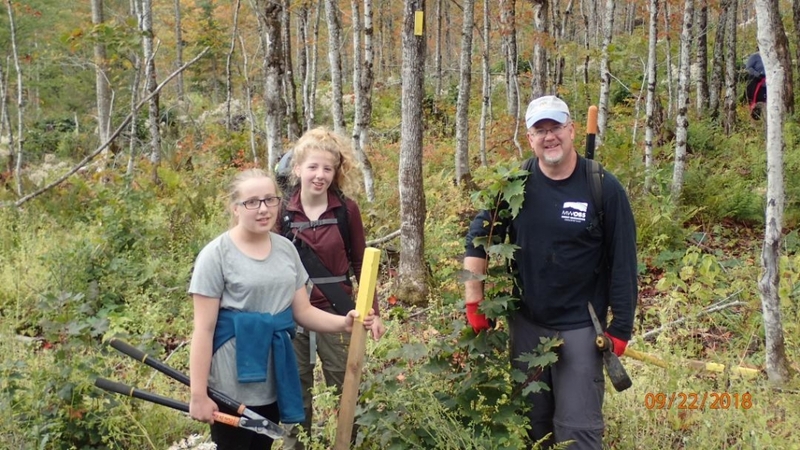 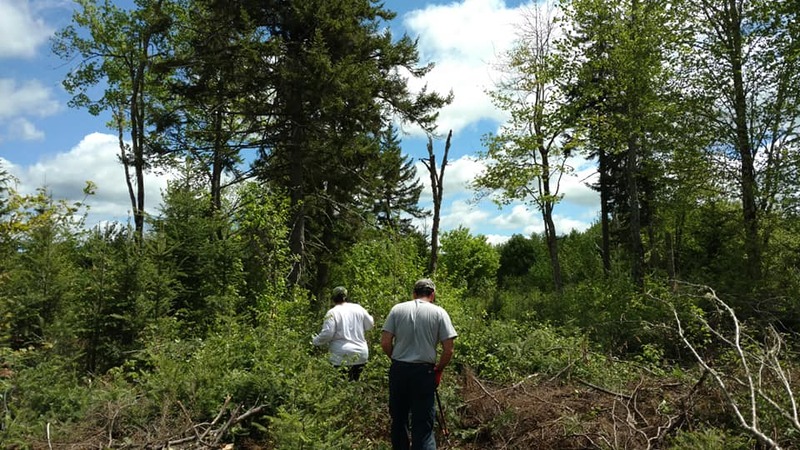 On September 22nd, 2018, seventeen volunteers ventured southbound from Coleman State Park and restored nearly three miles of trail that had been impacted to some degree by a timber harvest in 2017. 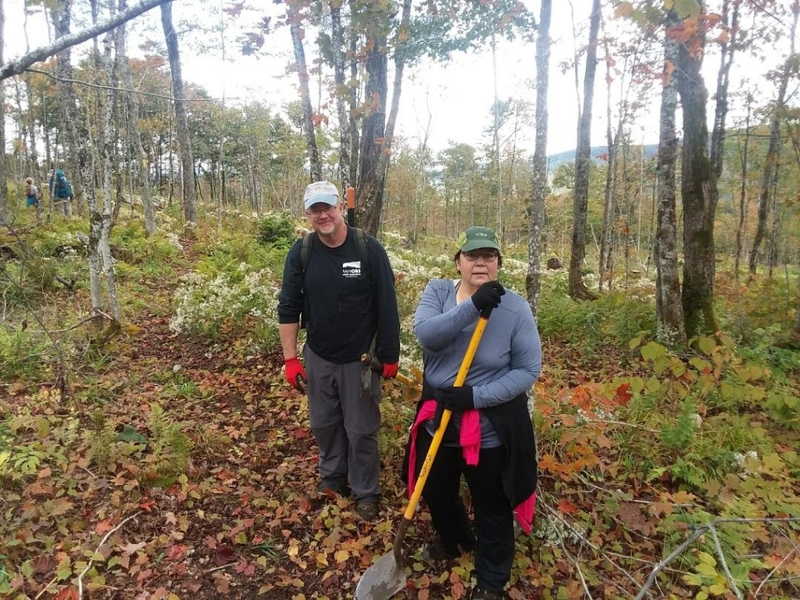 After seven hours of labor, the volunteers restored and reblazed the route on Tumbledick Mountain and Sugar Hill Peak before heading back to Coleman Estates for a celebratory evening. 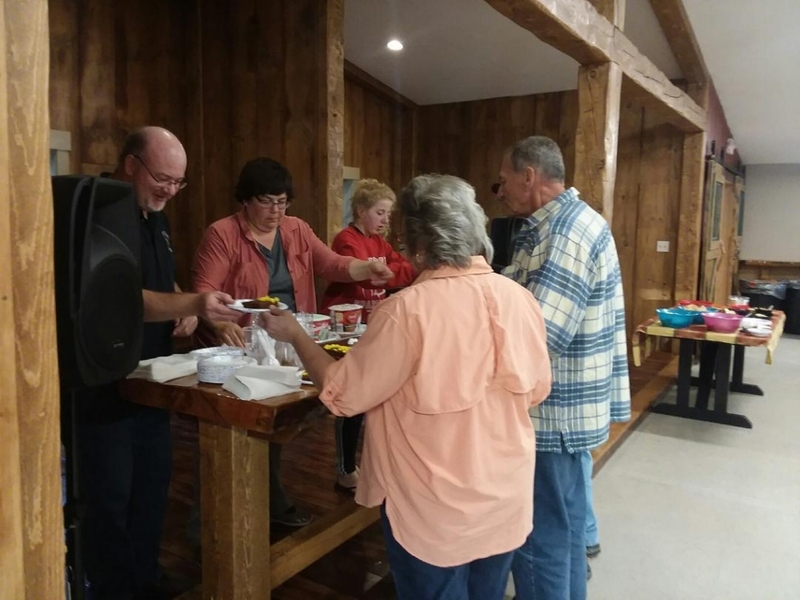 Festivities included a cookout with plenty of hors d’oeuvres, salads, and barbeque fare, plus a 20th anniversary cake cutting and serving. 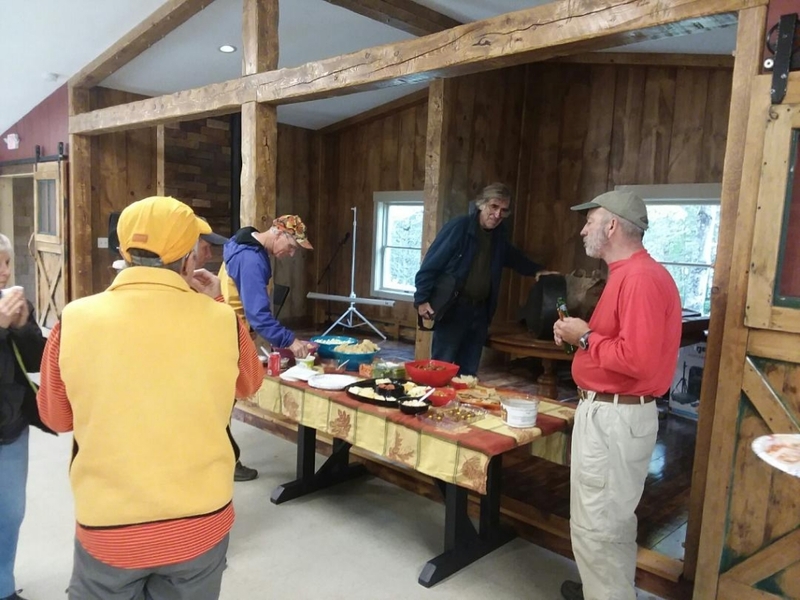 Cohos Trail President Ken Vallery of Lancaster and 20-year Cohos Trail veteran Yvan Guay of Jefferson manned the grills; Kim Votta of Lancaster and Debbie Guay organized and laid out the finger food and table spreads. 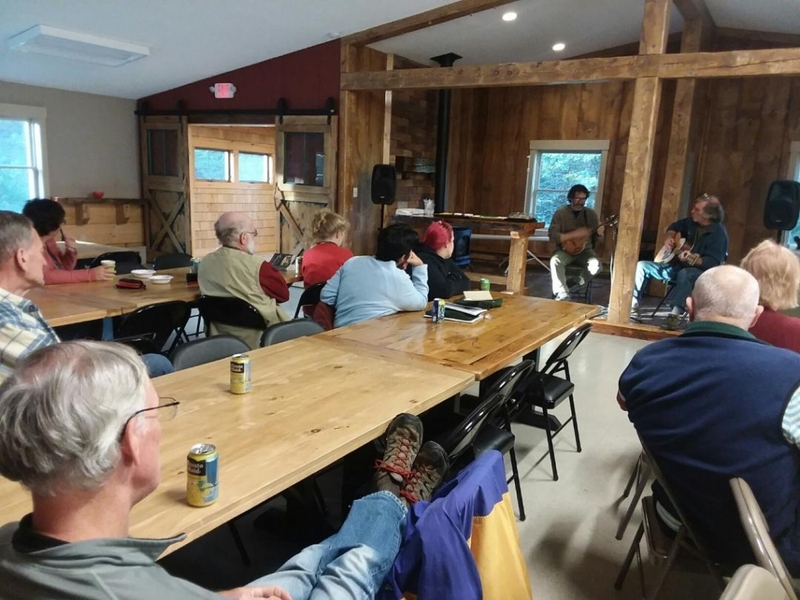 Mandolin aficionado Aaron Goff of Acton, Massachusetts, and trail founder and guitarist Kim Nilsen of Spofford, NH, improvised tunes to entertain about 35 guests before the consumption of calories began. 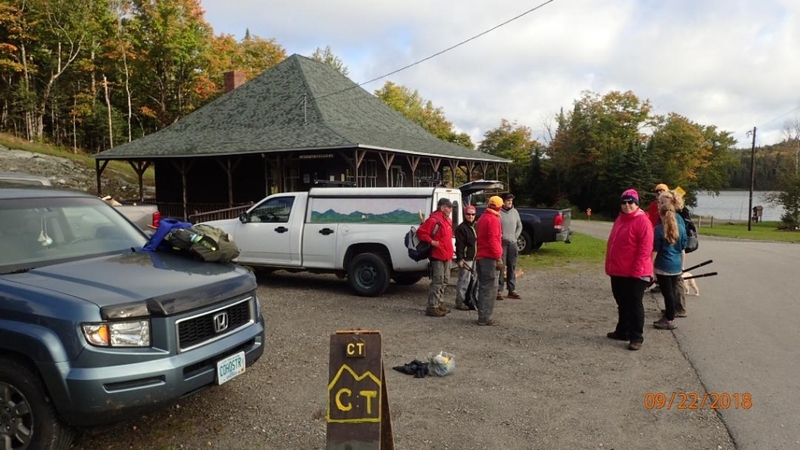 To close the evening, Nilsen gave a presentation with slides to the troops about the early years of the trail and some of the very unique features that hikers encounter during treks that last anywhere from a week to two weeks. 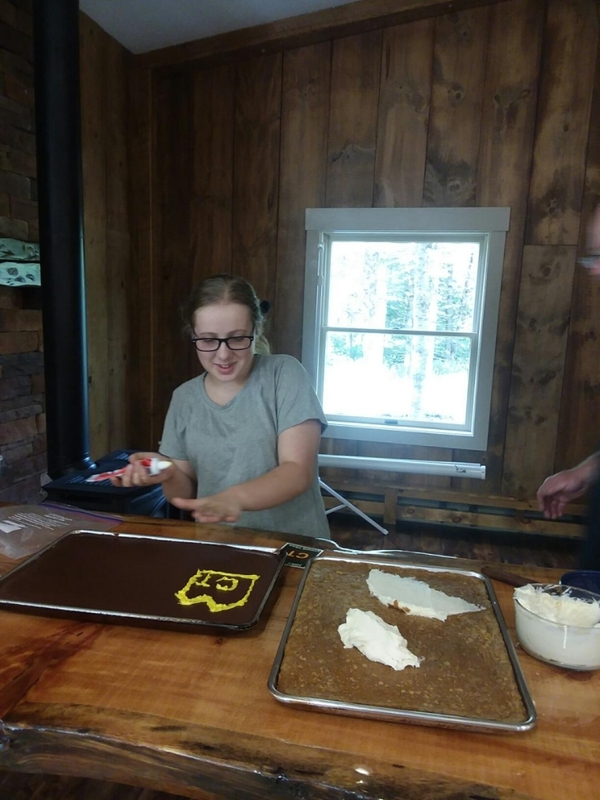 Coleman State Parks staff were extremely helpful and even came to our assistance when a much-needed computer ran into technical trouble. 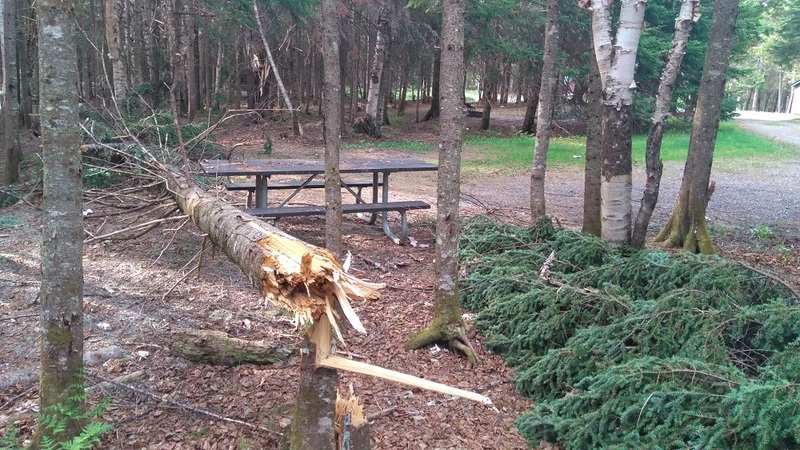 The weather cooperated all weekend, although the high winds of Friday evening were a bit of a challenge overnight for attendees camping out at Coleman State Park. 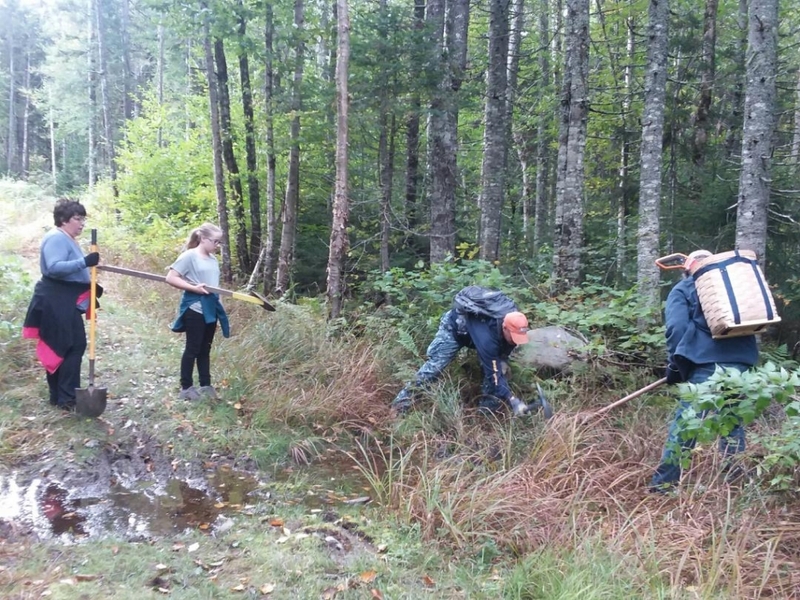 But temps proved perfect for doing the extensive trail work and for the evening’s festivities.